April 9, 2017 marks the 100th anniversary of the Battle of Vimy Ridge which took place during the First World War, in the open countryside north of Arras, France. In the epic battle, the four divisions of the Canadian Corps fought together for the first time and valiantly seized the ridge from the German army. Today, an iconic white memorial rests at the top of the ridge. Designed by Canadian Walter Seymour Allward, the monument commemorates the battle and honours the memory of Canadians who were killed, and for whom there are no known graves. It was at Vimy Ridge that Canada began to shape its character as a nation. By this victory, Canada was changed from a colony under British rule, to a country forging its own identity in the world. It was the efforts of these heroic and brave Canadians that established our nation, as one representing unity, honour, integrity and strength. This name is most appropriate because during the war, Canadians soldiers took part in trench raids, something which they developed and mastered. Throughout the war, these Canadian soldiers were brave and heroic raiders, who rushed the enemy trenches courageously, and captured enemy territory. These raids were vital in preparation for the ultimate victory at Vimy Ridge. Join all locations of The Flag Shop across our great country on April 9 as we perpetuate the memory of those who valorously gave their lives in this battle. This victory was the first milestone where Canada came of age and was then recognized across the world. 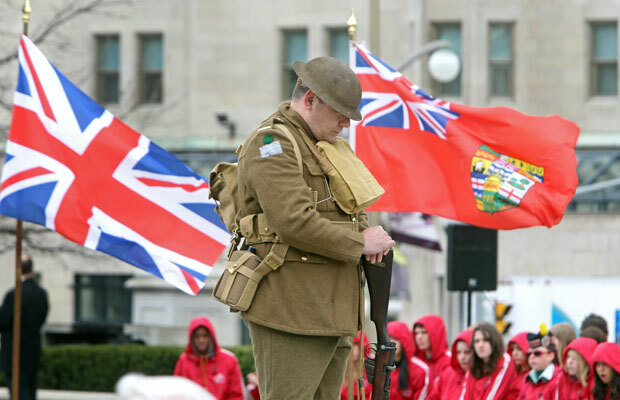 Interested in knowing more about Vimy Ridge 100th Anniversary events in your area? Visit Veterans Affairs Canada, for a full listing of events across in your area. 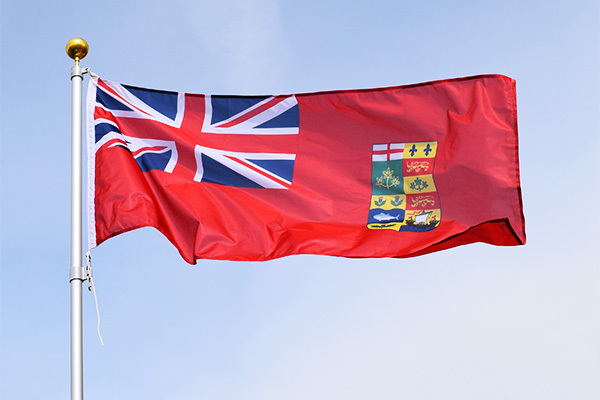 The Flag Shop proudly carries a full range of Canadian-made ensigns and military flags, including the Vimy Ridge flag, also known as the WWI Canadian Red Ensign. 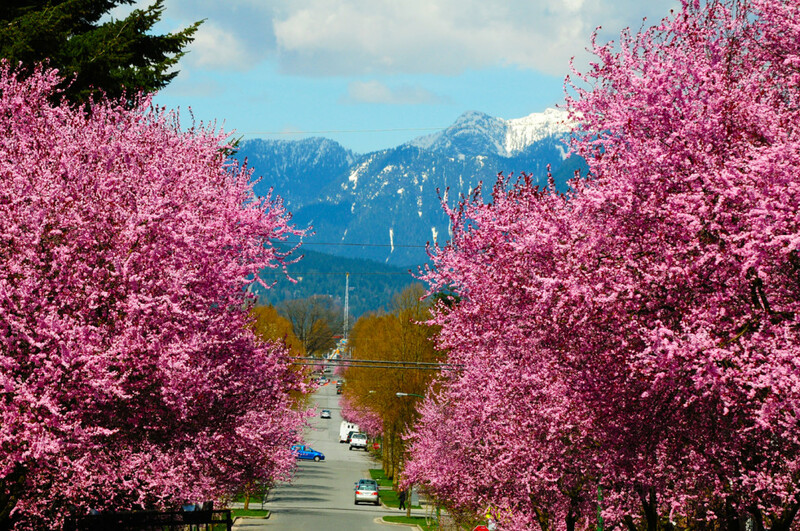 The 11th Annual Vancouver Cherry Blossom Festival (VCBF) celebrates spring during the time of year when 43,000 cherry trees burst into bloom around the city, with 20+ cherry blossom themed community events happening throughout March and April. The festival offers something for everyone! A full calendar of events brings people together and engages the community to enjoy the natural beauty of its surroundings. The Flag Shop Vancouver has been supporting the festival since we made the street banners last year, and we wash and store these beauties so they can be used year after year. 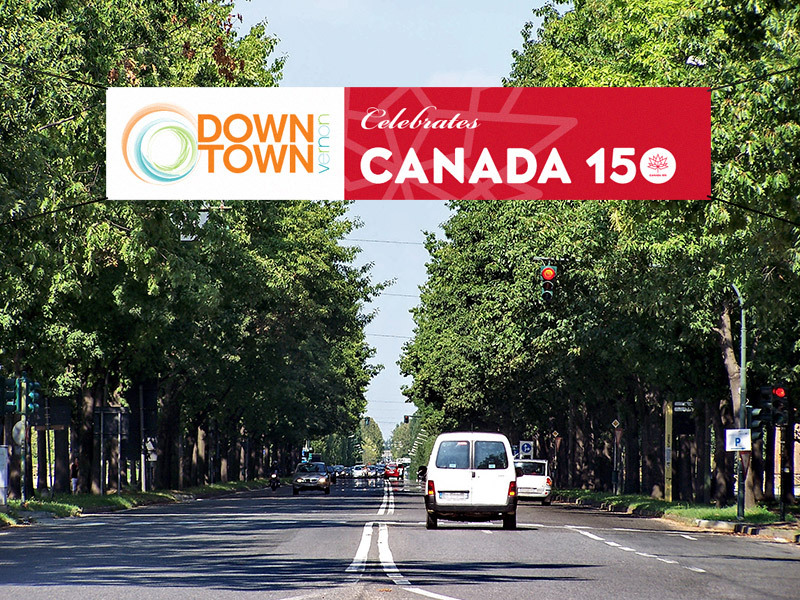 And this year, you can admire them on Oak Street by VanDusen Botanical Garden! 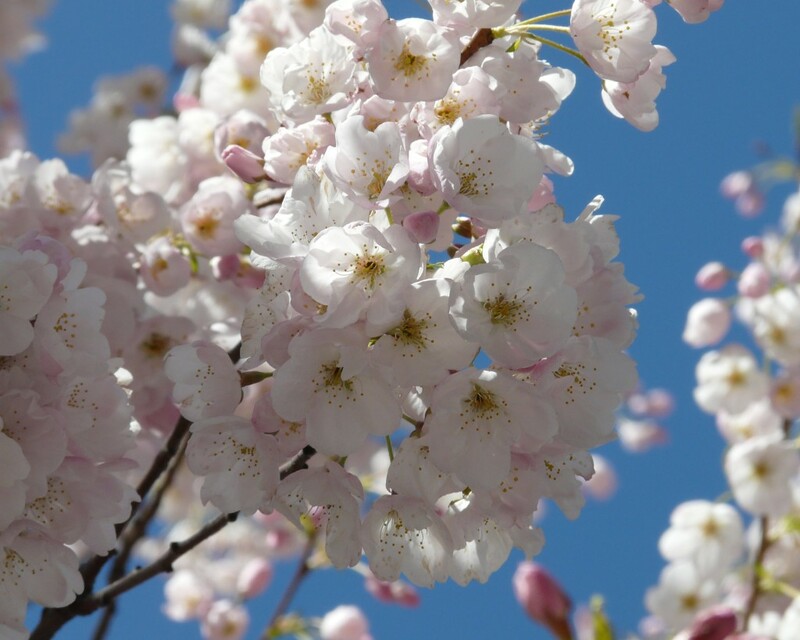 We’re so proud to be a part of the festivities, honouring the beauty and symbolism of the cherry blossom. We donated a retractable banner promoting a new Raffle Draw, with two Air Canada economy tickets to Japan up for grabs! Sakura Night Gala offers a special evening of food and friendship featuring eight of Vancouver’s top local restaurants, coming together to prepare a very special menu of Asian-fusion flavours to delight your senses. Hanami is a Japanese word which literally means “flower viewing.” The word, however, quite commonly refers to cherry blossom appreciation. Hanami is easy and can be a walk in the park, enjoying the beauty of the flowers. 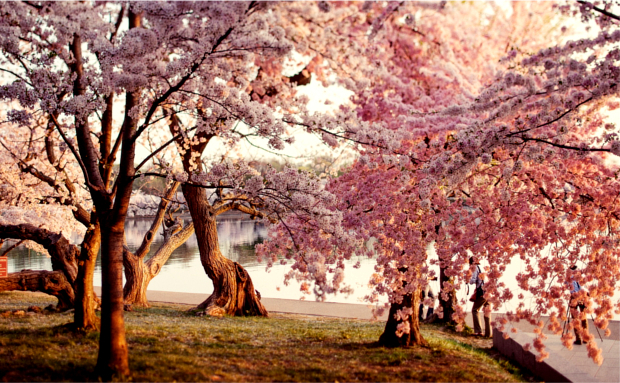 Traditionally, it involves a picnic and gathering of people, joining together under the blossoms. Be a part of The Big Picnic and enjoy bento box lunches, by Cocktails & Canapés, under Queen Elizabeth Park’s iconic cherry blossom canopy. Pre-ordering is now open! At the Sakura Days Japan Fair you will see the ritual of the Japanese tea ceremony, enjoy Japanese cooking demonstrations and taste premium sake. For more details about the event, please visit http://www.japanfairvancouver.com/. As Canada celebrates its 150th birthday this year, the VCBF will commemorate the anniversary by celebrating the country’s strength, pride, and freedom. The theme for the 2017 VCBF Haiku Invitational is “Freedom.” The fleeting nature of the blossoming of cherry trees reminds us all to celebrate life and enjoy every moment. Haiku, is short Japanese poetry that captures a moment of awareness and appreciation. Join other poets across the globe and submit your best haiku, honouring the beauty of the cherry tree, and recognizing freedom. Congratulations to Linda Poole, the VCBF Board of Directors and The Cherry Team. Custom street banners, custom retractable banners, the Canada/Japan Friendship Pin and the Japanese flag are some of the many products available at The Flag Shop. Vancouver Bids Farewell to the Best Show Ever! 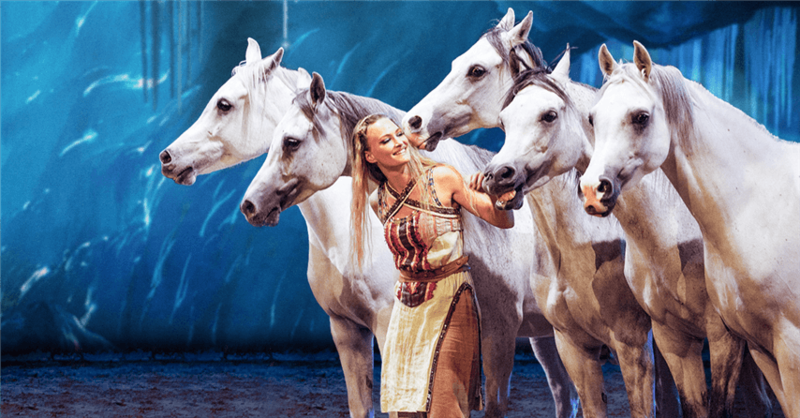 The Flag Shop Vancouver was honoured to supply our client, Cavalia Inc. with 690 beautiful, custom printed banners to promote and celebrate Odysseo by Cavalia: The Best Show Ever. 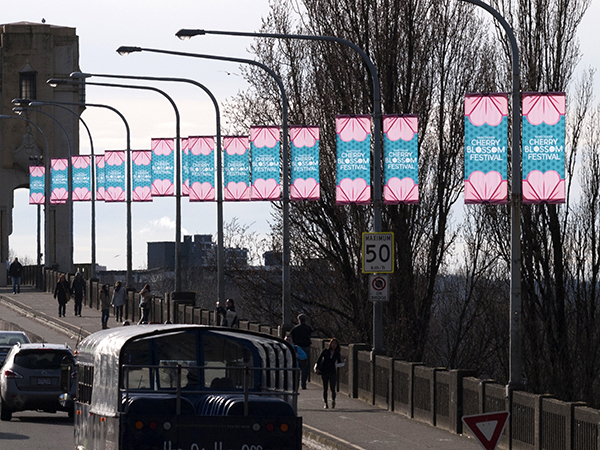 These exquisite banners adorned the streets of Vancouver, looking simply stunning against the city’s skyline. Because we support our clients, Susan Braverman invited the management team to attend the last evening performance. 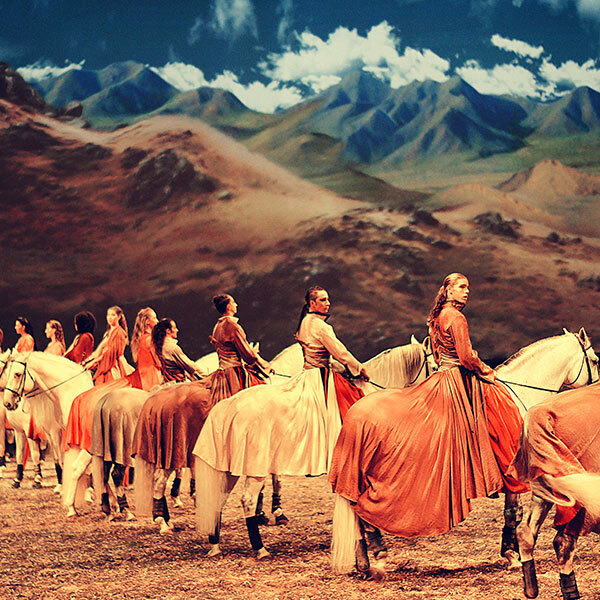 This spectacular show magically combines equestrian arts and high-tech theatrical effects. We were captivated by the opening scene, beginning in a misty forest, as a herd of horses grazed and frolicked under rolling clouds and a setting sun. Enthralled by the sights and sounds, we shared the experience with the entire audience as we rediscovered the century-old relationship between humans and horses. The travelling show includes 65 horses and 48 artists, taking a crew of 120 to set up under the big top. The horses are the stars of the show and the utmost care and attention went to these incredible animals, each treated with love and respect. 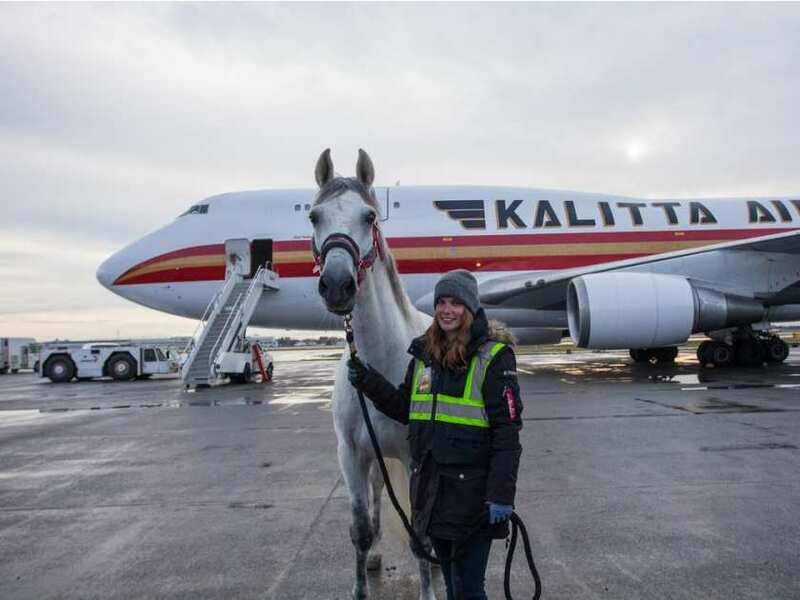 Of all the performers, the horses were the last to arrive, flown to Vancouver by a chartered 747, and transported to a local farm for two weeks of leisure and pasture before the show opened. The horses were welcomed in style, on a red carpet. Talk about royal treatment! In this unforgettable experience, we were teleported to majestic locations around the globe and beyond! We were thrilled to take an enchanted journey to the desert and savanna of Africa and the American southwest, Easter Island and verdant fields; marvelling at the beauty of the northern lights, and a majestic ice cave. Many thanks to Danny Gauthier of Cavalia for convincing Susan to purchase tickets, and to many wonderful show sponsors for bringing Cavalia to our great city! Although the show has left Vancouver, the troop continues its tour with openings in Chicago on April 1 and Mississauga on June 28. For more information about the show, please visit cavalia.com. Congratulations to show Creator and Artistic Director, Normand Latourelle. Also a pioneer of Cirque du Soleil, Latourelle was born and raised in Montreal. Since 2003, he has been fully dedicated to Cavalia Inc.
International Women’s Day (IWD) takes place every year on March 8, across the globe, in celebration of women’s social, economic, cultural and political achievements throughout history. It is also known as the United Nations Day for Women’s Rights and International Peace. 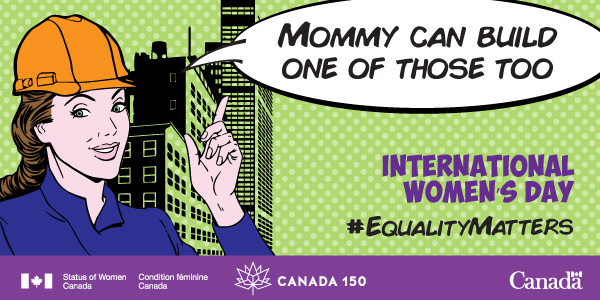 International Women’s Day gives women a collective voice to be heard. It all started in 1908, during a time of unrest and debate over oppression and inequality, when a group of 15,000 women gathered in New York City to demand fair pay, better working conditions, and the right to vote. It was their commitment to action for equality that sparked similar events in other countries. In 1911, the first official International Women’s Day rallies were held in Austria, Denmark, Germany, and Switzerland. The day is now observed in countries around the globe and many ways. 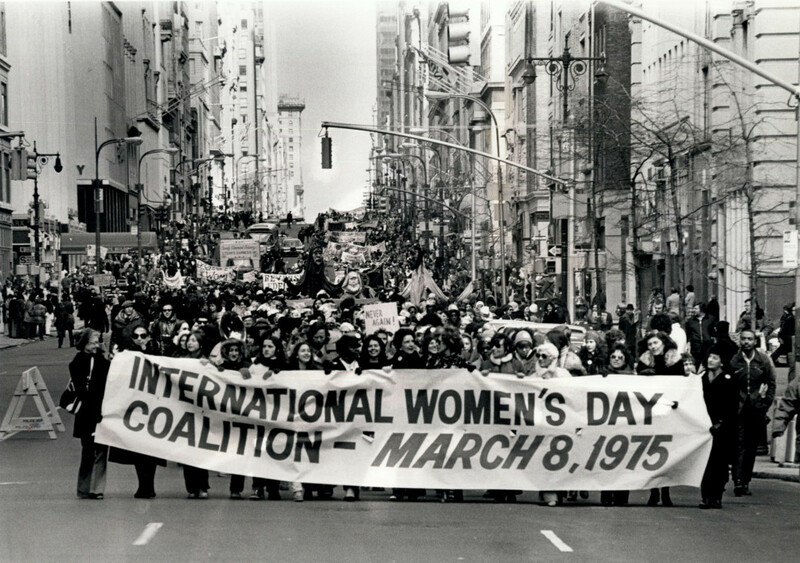 International Women’s Day was celebrated for the first time by the United Nations in 1975. 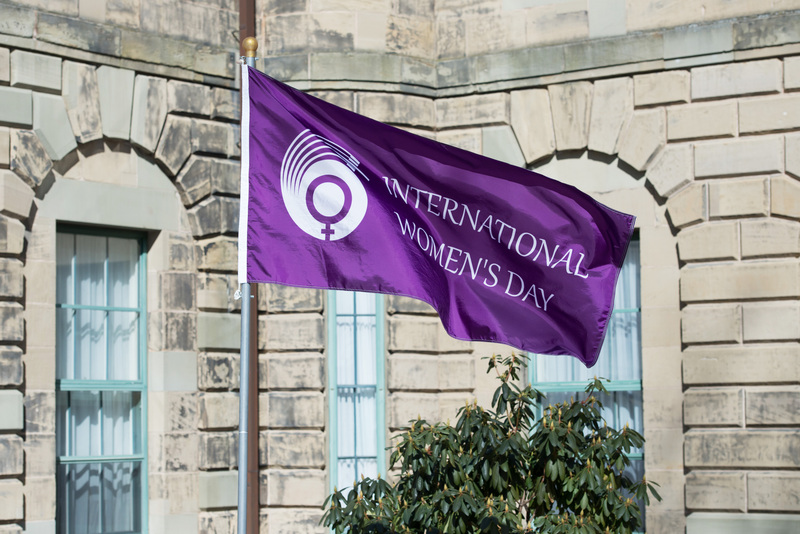 For more than 20 years, the UN has adopted a yearly theme for IWD. In 1996, the theme was “Celebrating the past, Planning for the Future”. In 1997: “Women at the Peace table”. In 1998: “Women and Human Rights”. In 1999: “World Free of Violence Against Women”. More recent themes have included, for example, “Empower Rural Women, End Poverty & Hunger” and “A Promise is a Promise – Time for Action to End Violence against Women”. Every individual has an important role to play in helping to drive better outcomes for women. Around the world, International Women’s Day provides an important opportunity for action that can result in positive change for women. At The Flag Shop, we are proud of our company heritage of strong leadership by women beginning in 1975. Doreen Braverman founded the company, starting the first full-service flag store in the world. And, in 2010, Susan Braverman bought the company and became President. This work which was begun over 40 years ago has brought countless opportunities for women to grow and thrive on many levels including economic livelihood, creativity, and social advancement. The Flag Shop also honours women’s achievements within the team: The Flag Shop Edmonton Owner-Manager, Phyllis Bright; The Flag Shop Nova Scotia Owner, Debbie Hartlen; The Flag Shop Saskatoon Owner-Manager Judy Denham, The Flag Shop Montreal Owner-Manager, Ginette Bazergul; The Flag Shop Toronto Partners, Lilly and Ladan Siahpoosh and The Flag Shop Chilliwack Manager, Vanessa Oddy. 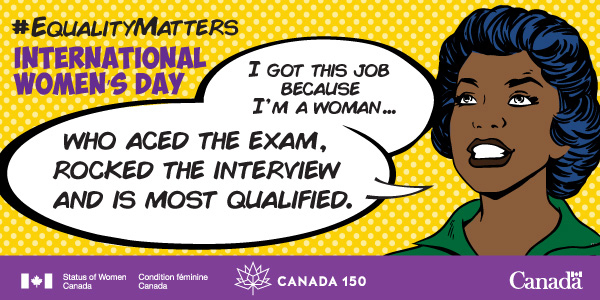 Canada’s theme for International Women’s Day 2017 is: “Equality Matters”. The theme holds significance because, in this country, we are advocates for the advancement and celebration of women and we recognize equality is the only way to ensure continued progress. So, in the week of International Women’s Day, what will you do to celebrate the women in your circles, and to ensure a brighter future for the daughters of nations around the globe? Wave the flag for United Nations Day for Women’s Rights and International Peace! This beautiful 3’x6’ custom printed flag was made by The Flag Shop Nova Scotia. 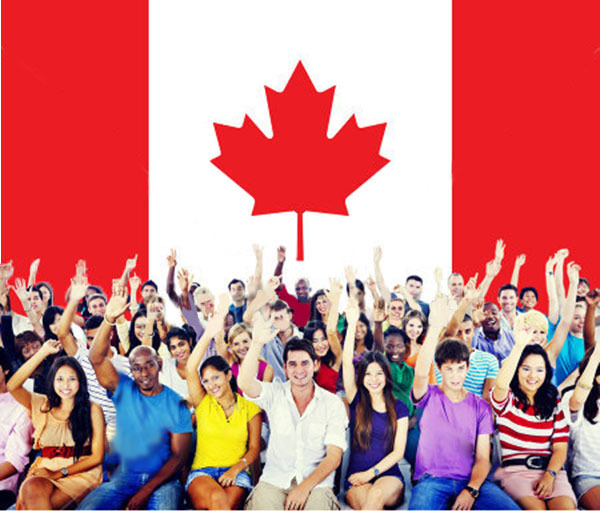 Celebrating Our Canadian Heritage – What’s So Great about Us Canadians, Anyway? Comments Off on Celebrating Our Canadian Heritage – What’s So Great about Us Canadians, Anyway? Since Confederation in 1867, Canada has seen positive growth and change. Today, all Canadians are part of a global community connected by ease of travel and modern technology. As we recognize Canada’s 150th anniversary of Confederation, it’s a great time for all Canadians to think about what it really means to be Canadian. What exactly does it mean to you? As a nation, we have shown time and time again, that the people of this country value peace, tolerance, compassion, friendship and democracy. Canadians have carved out a global reputation, a history and a uniquely Canadian cultural mosaic. Making our mark all over the world, Canadians are not only known for our values, we have changed the world with our innovation, too! We Canucks invented basketball, the telephone, insulin, the hockey goalie mask, the zipper and the CanadArm, to name just a few! Though basketball may be more popular with our neighbours to the south, it was a Canadian gym teacher, James Naismith, who invented the sport in 1891. The world can thank Alexander Graham Bell for the telephone, which has come a very a long way since 1876, when Mr. Bell used his invention to communicate, saying, “Mr. Watson, come here. I want to see you.” Then there’s insulin, which was created by Dr. Frederick Banting, a Nobel Prize laureate of Alliston, Ontario. Jacques Plante of Montreal Canadiens fame was the first goaltender to create and use a goalie mask in 1959. A Canadian electrical engineer, named Gideon Sundback created the first modern-day zipper in 1913, improving upon earlier renditions. 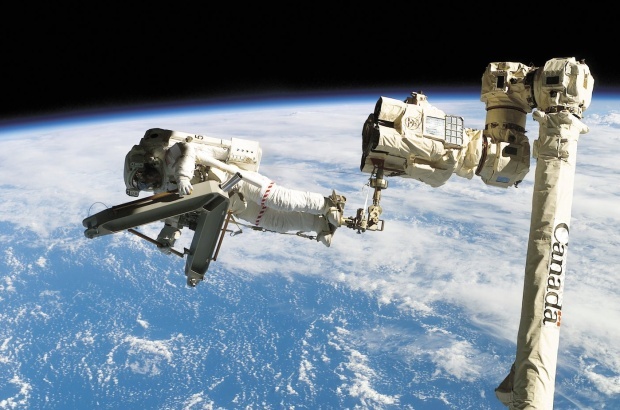 The CanadArm was used for 30 years as part of the NASA Space Shuttle Program. It’s a robotic arm that captured and repaired satellites, helped position astronauts and moved cargo! Source: The Vancouver Sun-Submitted Photo/MacDonald, Dettwiler and Associates Ltd. So, Canadians are inventive, caring and polite! And, we get along with everyone! Proudly Canadian, The Flag Shop will help you combine your brand with the Canada 150 logo, as you join hands with all Canadians from coast to coast to coast, in this important year of patriotism and pride in our nation. Co-branding is a powerful marketing tool which will convey a sense of goodwill while creating opportunities to expand the public profile of your organization. Whatever your vision may be for marking Canada 150, we have a full range of stock and custom products to celebrate this historic milestone while showcasing your brand! Unleash the power of co-branding and join us as we celebrate with our fellow Canadians! 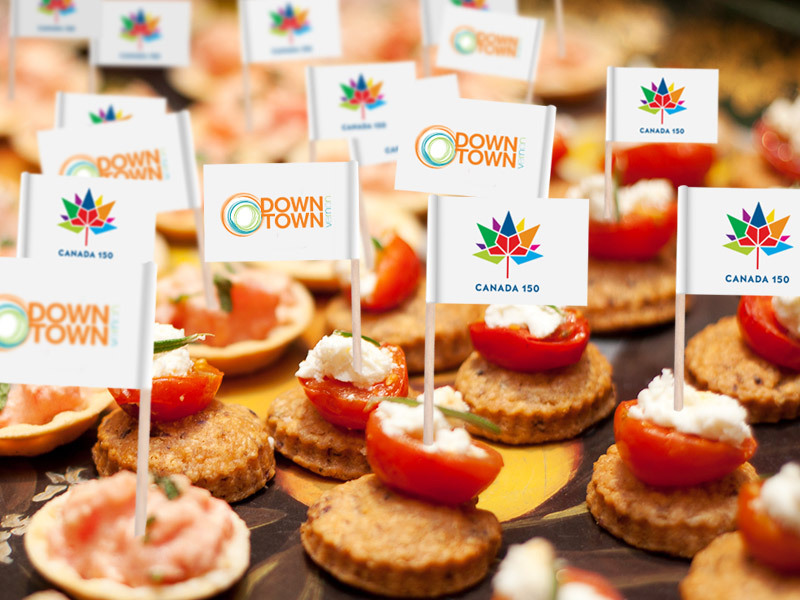 Visit canada150.flagshop.com and be inspired by the limitless possibilities to make your events shine! For more information about celebrations and events across the country, visit: http://bit.ly/2bxZRUa. It’s Canada’s 150th birthday! And, that’s a lot of candles! You are currently browsing the The Flag Shop Blog blog archives for March, 2017.